Looking for Package Deals to Robert Trent Jones Trail? We have those too! 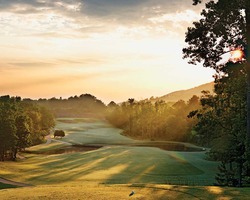 RTJ Golf Trail Central Alabama Package for $173.00 per day! Golf course architect Robert Trent Jones saw the group of public courses he designed in Alabama as his version of Michelangelo's masterful artwork in the Sistine Chapel. The 21 courses are now called the Robert Trent Jones Golf Trail, a total of 378 holes at eight locations across the state. The Trail's long list of accolades includes recognition as one of the best values in the world as a golf destination, according to Golf Digest surveys. 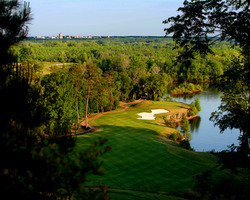 Ask your RTJ Trail Golf Zoo Trip Specialist what they think of the spectacular courses! Come and play one of the top RTJ Trail golf facilities - Capitol Hill Golf Club in Central Alabama. This package is available January 3 - March 29, 2019 for $173.00 per person/per day! Prices are based on double occupancy. Extra nights available. Other courses available. When Golf Digest selected Alabama the 3rd best state for golf value a couple of years ago, it became obvious that the state was a major player on the golf scene. Due in part to the success of the Robert Trent Jones Golf Trail, Alabama finds itself at the pinnacle of the golfing world. Golf course architect Robert Trent Jones saw the group of public courses he designed in Alabama as his version of Michelangelo's masterful artwork in the Sistine Chapel. The 21 courses are now called the Robert Trent Jones Golf Trail, a total of 378 holes at eight locations across the state. Capitol Hill has been name the "#2 Public Golf Site in the U.S." by Golf World readers and deservedly so with 3 great courses and tour-quality practice facilities. The Legislator, a more traditional course than its Capitol Hill sibling courses, plays around stately pine trees and along a picturesque bluff, featuring elevation changes of more than 200 feet. You'll be amazed at the "Sky Bridge", a winding cart path that delivers you through 6 holes laid out around a native cypress swamp and back up the bluff to finish the course at Captiol Hill's spectacular clubhouse. One of the most popular sites on the Trail, Capitol Hill in Prattville encompasses over 1,500 acres of golf and nature, allowing each of the three top-rated courses to be drastically different from each other. The Senator is a traditional Scottish-style layout. Over 160 pot-hole bunkers are situated throughout the 18 holes, and mounds 20 to 40 feet in height engulf the landscape. The secluded settings of each hole will make it feel as if you are the player or group on the entire golf course! The Senator hosts the annual LPGA Navistar Classic and many amateur tournaments due to its design challenges and beauty. Golf Magazine called The Judge Course "1 of the 10 public courses in America worthy of hosting the U.S. Open" and the Zagat Survey of America's Top Golf Courses ranked it among the top 50 courses in America. The Judge offers stunning vistas alongside the 200 acre glistening back waters of the Alabama River. The first tee lies 200 feet above the fairway overlooking the Alabama River and the Montgomery skyline, and the course gets more challenging and scenic from there! With 14 holes adjoining the water, plus rolling fairways, uphill and downhill shot-making across natural elevations, The Judge is described as simply magnificent and a must play. This 54-hole facility was built on former mining land owned by U.S. Steel. Sculpted from the peaks and valleys of the Appalachians, the courses offer scenic forests, numerous creeks and challenging elevation changes. The Ridge Course, with its rolling fairways, dense hardwood surroundings, and precipitous 150-foot elevation changes, is incredibly beautiful and scenic. As a reminder of the site's former use, the green at the par-five 12th is buttressed by a shelf of exposed shale rock.